The kitten is feeling pleasure: "Oh, my mother is carrying me." The deer is feeling death: "Oh, now I'm going to die." 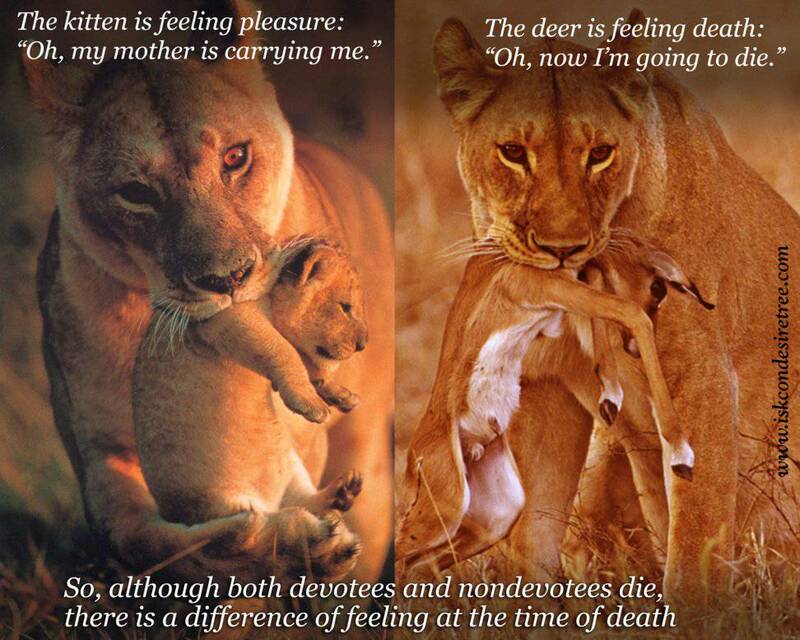 So, although both devotees and nondevotees die, there is a diffrence of feeling at the time of death.